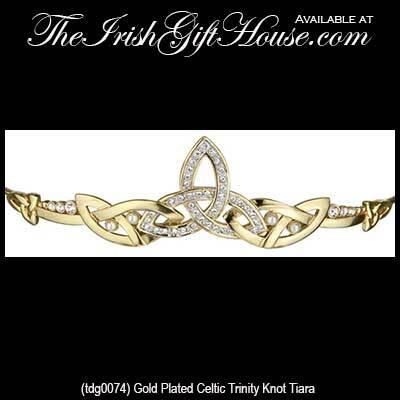 This Celtic tiara features the Trinity knot and it is enhanced with crystals along with freshwater pearls. 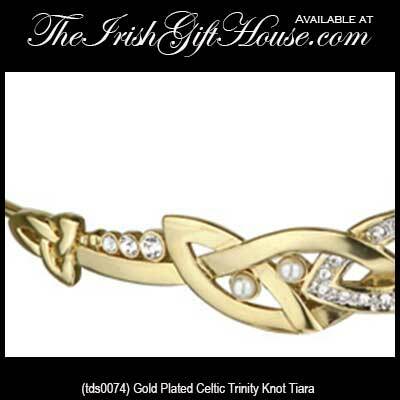 This Irish tiara features a Trinity knot in the center and it is enhanced with freshwater pearls and crystals. 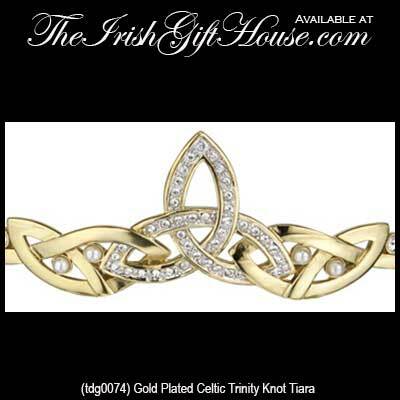 The Celtic tiara is 18K gold plated and the center design measures 1 1/2" wide x 1 1/4" tall.